Hi Katie! First of all, tell us a bit about who you are and what you do? Where are you based and how did you get set up? Hello! I am an illustrator living in the very North East of England in a tiny seaside town called Berwick upon Tweed. I grew up here, but I studied in Edinburgh, and I lived in Italy and Germany for a few years before I came home. I do lots of different things! I illustrate for books, websites, and sometimes create logos. 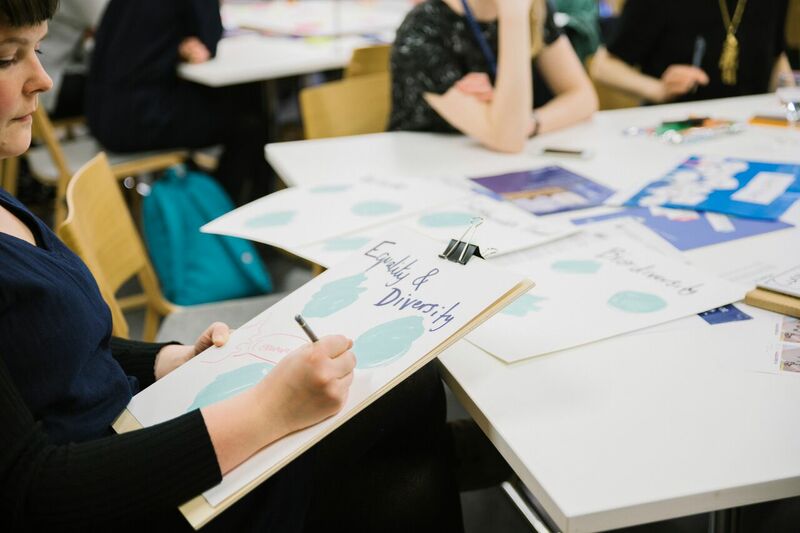 I run creative workshops, I live-illustrate for brands and universities, and I also lecture part time. What are your biggest inspirations/where do they come from? I am inspired by old packaging, travel adventures, plants, the people around me and old photographs. Travelling and drawing are two of my favourite things, and to be able to do both makes me so happy. Also, the fear of working in an office keeps me going when I need motivation. The internet is great for building a sense of community – I find Instagram very helpful for keeping in touch with fellow illustrators. It’s very inspiring to see what everyone else is creating every day. I work with children a lot, and I love how confident they are when they’re drawing. They just get stuck in. Ok, so tell us a bit about Live Illustration?! You offer it as a service, but tell us how you got started with it? Back in 2016 a friend asked me to paint during her wedding ceremony. I painted the beach they got married on (Coldingham Sands, a beautiful beach in the Scottish Borders) and posted it on Instagram. As luck would have it, Glamour Magazine spotted my post and I made it into a ‘hottest wedding trends of 2017’ blog post. That must have boosted my website traffic or something, because enquiries started coming in. While I was studying at Edinburgh College of Art I had my first ‘proper’ enquiry. It was a posh handbag shop in Gateshead. I drove down for a trial, but they gave the job to somebody else in the end! That first experience taught me to ask for a table and a chair, and to take my time. I know that to work well I need to be comfortable, and I also learned that it’s really helpful to have a member of staff nearby. This is especially true if you’re live illustrating in a store and there’s a special offer on or something – while illustrating for House of Fraser I was really grateful to have staff nearby to answer customers’ questions so that I could keep on drawing. 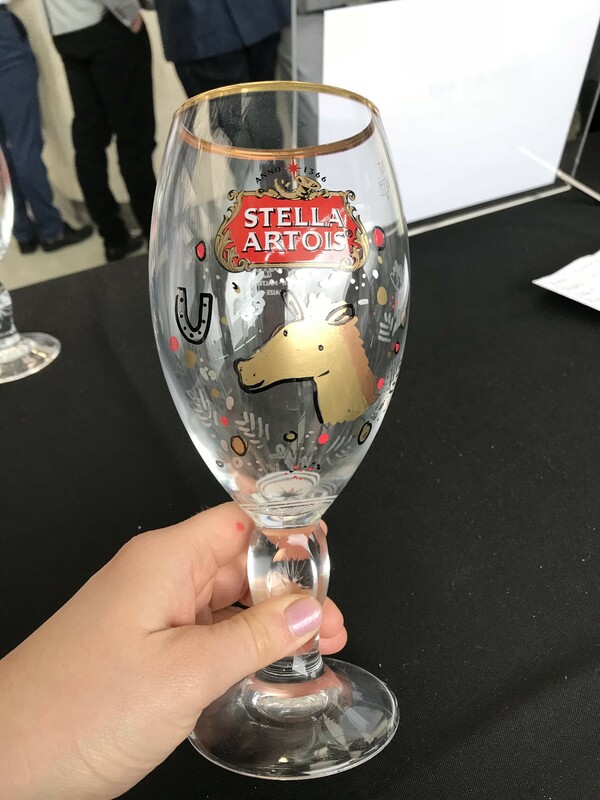 Later on in 2017 I was contacted by Stella Artois and have done quite a few events for them, drawing city skylines and landmarks onto their branded chalices at different events all over the UK. What kind of events do you offer Live Illustration for? I offer live illustration for brand promotional events, parties, weddings, and meetings. 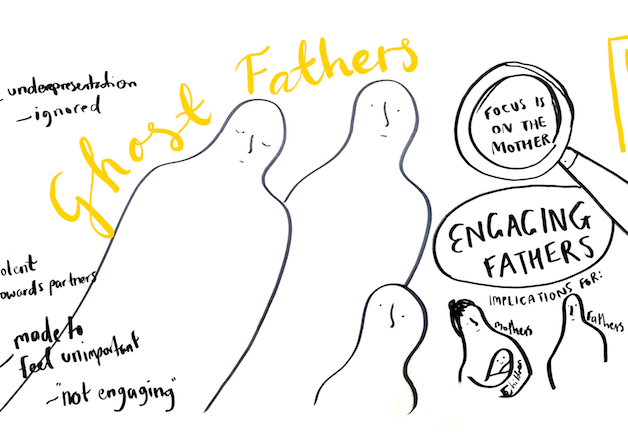 For example, last week I worked with Edinburgh University graphic recording during a social workers workshop about engaging fathers. 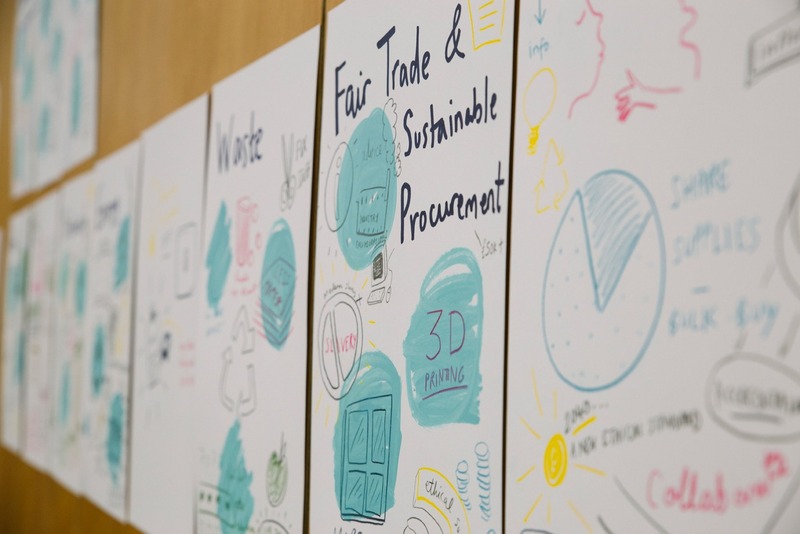 Being able to capture information in a visual way is great, and I love the challenge of listening carefully and draw quickly at the same time. In your opinion, what makes Live Illustration special? Watching the illustration unfold in front of your eyes, having something drawn just for you and being able to witness that is something very special. People are always very excited when they realise what you’re doing and why you are there. There’s always this sceptical moment when someone is trying to figure out what is going on, and then they want to get involved! What’s the best event/occasion you’ve ever undertaken live illustration for? What made it so good? 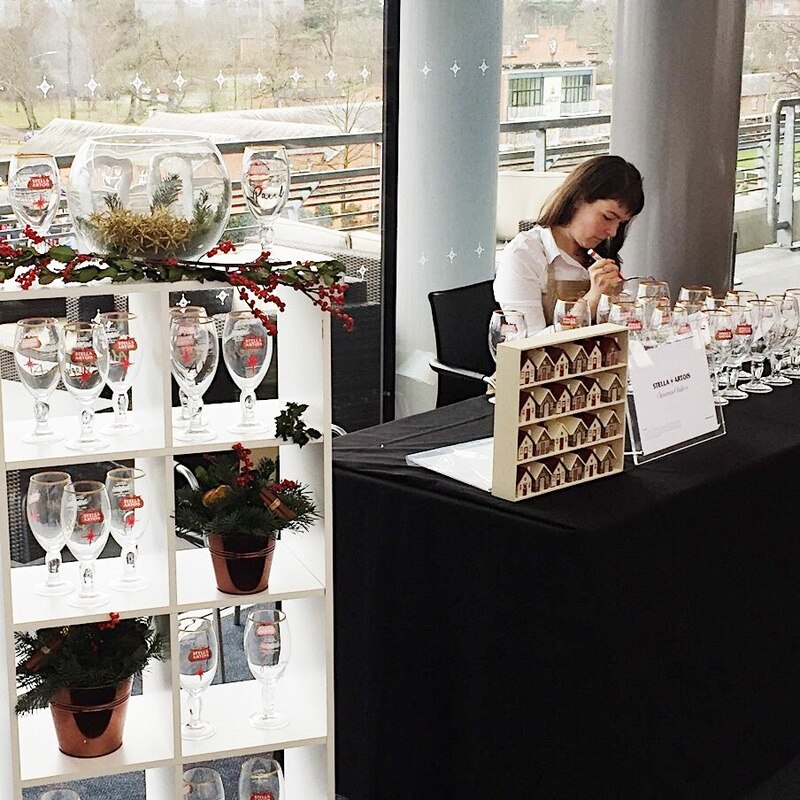 Last year I was lucky enough to be sent to Ascot by Stella Artois to live illustrate. I was there chatting to people at the races, drawing whatever they liked on chalices. It went down really well, and there was a queue all day of people wanting their own chalice personalised. I’d never been to Ascot before, and I’d never drawn so much in one day either. My drawing hand was like a claw by the end of the day, haha. Where do you see your business going over the next year or so? What’s in the pipeline?! Over the next year I am planning to carry on live illustrating, and lecturing (in illustration). It’s a big goal to write and illustrate my own book, as well as visit India to draw and paint my way around for a few weeks. If everything goes to plan, i’ll manage a book and a trip in 2019! Of course if I could get some live illustration gigs in India that would work out very well. Hello India. It’s me. You can employ me now. Ta. 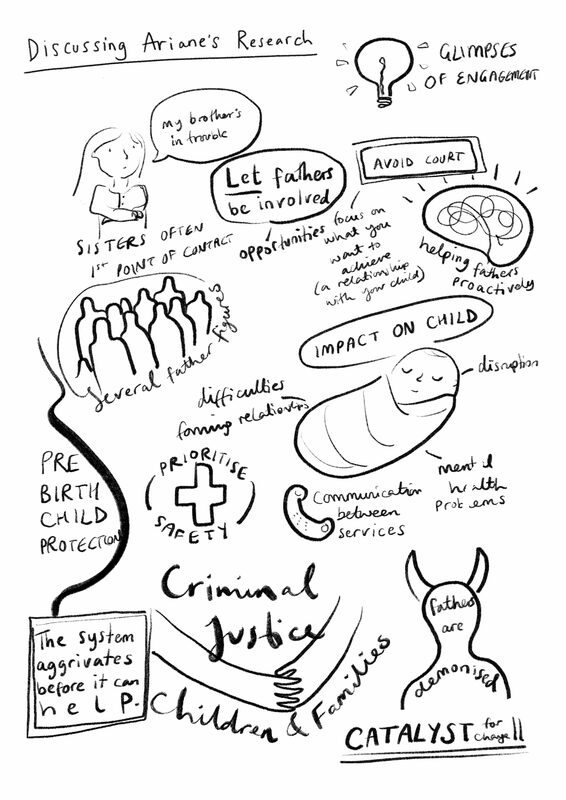 Ok, so we’re sold, how do people get in touch with you to book their own Graphic Recording/Live Illustration event? You can get in touch with me via my website: www.katiechappell.com ane I’m also on Instagram as @Katiedraws.